Copa: What inspired you to write your first book? Copa: . Was there very much excitement when things finally began to come together with your project? Gabrielle: Yes, there really was. Really, there was excitement before the project finally came together. I was just so ready to get this book out into the world. I new this book would be excepted because it an important topic that is not spoken upon kids enough. So I was so excited. Copa: What a great title, how long did it take to decide to use it? Gabrielle: It didn’t take long at all, when we were thinking of titles, as soon as we thought of “The Making of a Young Entrepreneur”. I knew it was perfect. 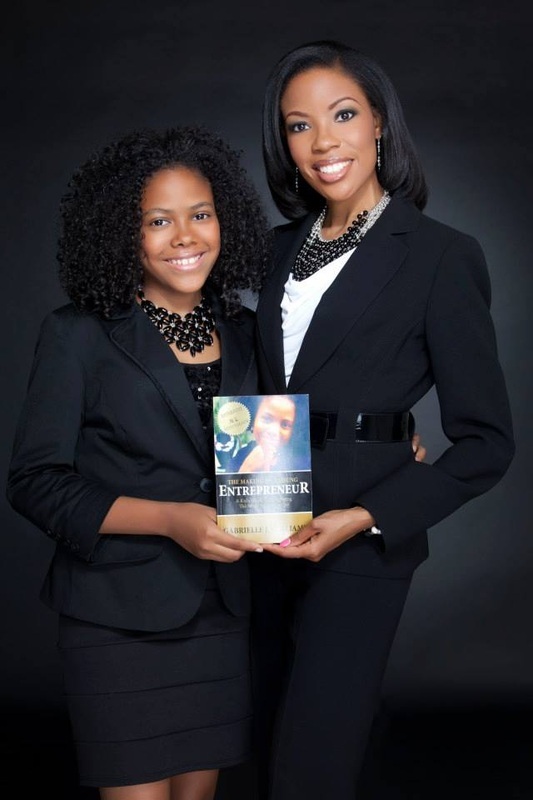 Copa: Do you think more teens should have and entrepreneurial spirit and why? Gabrielle: Definitely, kids are shaping our future and the skills and traits that you learn from being an entrepreneur can be applied to any aspect of life. They don’t have to become entrepreneurs, but definitely developing that spirit can grow them in the work place and of course, in business. Copa: What should young people do today to prepare themselves for the future? Gabrielle: Youth should definitely keep learning. Keeping their minds stimulated every moment of the day, its so important. And I’m not just saying in school. I’m talking about even during the weekend and after the school day. Continuously feeding your brain with new knowledge is necessary. Copa: What is your opinion on spoiled kids and their development? Gabrielle: There are a lot of spoiled kids. I don't like that they won’t be able to do a lot of things on their own because there spoiled. People say that spoiled kids are bad kids, but its not there fault that there spoiled. Whoever raised them is the one to blame. I just hope that when they figure out that life isn’t always peachy; they will be able to navigate through it. Copa: . What have you decided to study in college and what profession interests you at this time? Gabrielle: : I would like to major in Business and attend the Gemological Institute of America (GIA) in New York and become a Gemologist. Copa: Where in the world would you be your ultimate place to work? Gabrielle: There is no one place that would be the ultimate place to work for me. As a speaker, I would travel all over, I love to travel. But if I had to choose a place where I would live, I would stay somewhere warm like California. Copa: Who is your favorite hero or heroine and why? Gabrielle: I don’t really have a hero, but I do have role models. My mom. She is a great example of an awesome business owner.